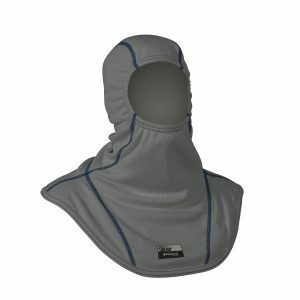 The INNOTEX GRAY™ Hood 25 is composed of 3 layers that shields the vulnerable area between the helmet and the coat. 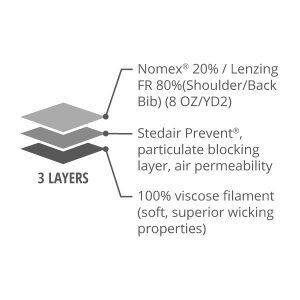 The middle Stedair® Prevent layer blocks more than 98% of particles ranging from .1 to 1.0 microns while remaining air permeable. The inner liner is a smooth, cooling viscose filament with superior wicking properties.